As the ACP-EC cooperation is no longer restricted to governments, opportunities for participation are now provided to non-state actors in the ACP countries. For these non-state actors to be fully involved in cooperation, they need to be well informed on the contents of the Agreement, and on ways and means provided for them to participate effectively. 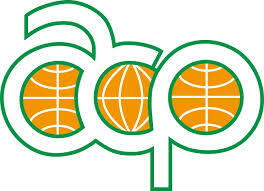 It is in that context that the ACP Secretariat and ECDPM have produced “The Cotonou Agreement. A User’s Guide for Non-State Actors”. to provide practical guidance on how all of these non-state actors can participate in ACP–EU cooperation. Chapter 3: Opportunities for participation under the Cotonou Agreement – The Cotonou Agreement promotes participation as a fundamental principle. But what is the legal framework for NSA participation? Who can participate? Published by the ACP Secretariat, Brussels, Belgium. Copyright© 2003 ACP Secretariat. Funded by the European Commission. This is not an official EC document.